c) Mehtarjao Nisar Dastigar, of Kesu, sometime Lieut Chitral Body Guard. m. a daughter of his paternal uncle, H.H. Mehtar Sir Muhammad Shuja ul-Mulk, Mehtar of Chitral, KCIE. 2) Mehtarjao Majid Dastigir (s/o a consort). Governor of Drosh. He d. (s.p?) before 1892. 3) Mehtar Muhammad Nizam ul-Mulk, Mehtar of Chitral and Yasin (s/o the Sayyida) - see below. (1) Mehtarjao Anwar ul-Mulk. b. 192x. DSP Chitral State Police. He d. from cardiac failure, at Broze, 19th March 2004. (a) Mehtarjao Munir ul-Mulk. ASI in Police Dept. (b) Mehtarjao Sajjad ul-Mulk. Manager accounts in Multi national company SAMBU. (c) Mehtarjao Imtiaz ul-Mulk. Manager in Micro Finance Bank Chitral. (1) A daughter. m. Shuja ul-Mulk Jalala (b. 1952), Governor of Kunar, Afghanistan, third son of Khan “Abdu”l Malik Khan Khator, Khan of Jalala - see below. (a) Maryam Shahzadi. m. Imran ul-Mulk, of Drosh. She has issue, one son. a) A daughter. m. Nawab Sir Muhammad Shah Jahan Khan Bahadur, Nawab of Dir, KBE, eldest son of Nawab Aurangzeb Badshah Khan Bahadur, Nawab of Dir - see Pakistan (Dir). 5) Mehtar Muhammad Afzal ul-Mulk, Mehtar of Chitral and Yasin (s/o the Sayyida) - see below. a) Mehtarjao Aram ul-Mulk. b. ca. 1890. He d. before 1937, having had issue at least one daughter. a) Mehtarjao Aziz ul-Mulk, of Broz. Subadar Chitral Body Guard. 8) Mehtar Muhammad Amir ul-Mulk, Mehtar of Chitral (s/o an Afghan Princess) - see below. i) Aman ul-Mulk Jalala [Al-Haj Anamulmulk Jalala]. Settled in Washington DC, USA. ii) Nijat ul-Mulk Jalala [Nejat Jalala], educ. Kabul Univ (MSc). Engineer employed with Kabul PWD for eight years, then a refugee in Pakistan and a Mujahid commander, Dir-Gen. Ministry of Water under the Soviet regime, then a refugee in Peshawar, Pakistan once more. iii) Shuja ul-Mulk Jalala. b. 1952. MNA for Kunar 2005-2011, Presidential Adviser on Tribal Affairs 2011-2013, Governor of Kunar since 2013. Presdt Jalala Fndn. v) Masih ul-Mulk Jalala [Masih Jalala]. Settled in California, USA. Civil Engineer and Businessman, Consultant with American Discount Security (ADS). vi) Hayat ul-Mulk Jalala. A businessman in Los Angeles. vii) Ghulam Reza Jalala. A businessman in Los Angeles. viii) Ghulam Rashid Jalala. Settled in Denmark. ix) Mujahid Islam Jalala. Settled in Pakistan. i) ... Khonza. m. as his second wife, Shahzada Aziz ur-Rahman (b. at Chitral, April 1933; d. 1998), She d. 1983, having had issue, two sons and a daughter - see below. b) ‘Abdu’l Rawoof Khan Jalala. He d. at a young age. a) Rabia Khonza. m. H.E. Allah Nawaz Khan, a Minister under Kings Amanullah and Nadir Shah of Afghanistan and Afghan Envoy Extr & Minister Plen to Germany 1940. 10) Mehtarjao ‘Abdu’l Karim Khan (s/o a consort). He d. before 1st June 1937. 11) Mehtarjao Muhammad Wali Khan (s/o a consort). He d. before 1st June 1937.
ii) Mehtarjao Taj Muhammad Khan. iii) Mehtarjao Nisar Muhammad Khan. (a) Mehtarjao Muhammad Abbas Kausar. (2) Ghazala Anjum Khonza. m. a son of Mehtarjao Muzaffar Hussain, of Koghozi - see below. i) Mehtarjao Muhammad Saleem Khan. 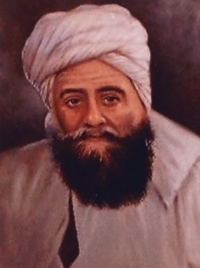 i) Mehtarjao Fazl-e-Ilahi [Fazal E Elahi]. Detective Supt of Police. (1) Captain Faisal Qayum. Pakistan Army. m. a daughter of Sher Nabiu’llah, sometime Engeenier WAPDA. (2) Shah Fahad Qayum. m. the daughter of HajiZmarai Atal, of New Zealand. (3) Shah Saud Qayum, educ. Sayurj Public Sch& Coll, Chitral. (4) Shah Salman Qayum, educ. Sayurj Public Sch & Coll, Chitral. (5) Shah Arsalan Qayum, educ. Sayurj Public Sch & Coll, Chitral. (1) Asma Khonza. m. Captain Ateeq, Pakistan Army Aviation Corps. iv) Colonel Mehtarjao Fazal Rahim [Colonel Dr Fazal Raheem]. iv) Abida Nasreen Khonza [Bibi Abida Nasreen]. i) Mehtarjao Saif ud-Rahman Khan. ii) Mehtarjao Asaf ud-Rahman Khan. iii) Mehtarjao Atta ur-Rahman Khan. i) Mehtarjao Ghulam Abul Qadir. ii) Mehtarjao Atau’llah [Atta Ullah]. i) Mehtarjao Dr Shida Ahmad. (1) Mehtarjao Moeez ud-din. Lawyer and poet. (2) Mehtarjao Moeen ud-din, educ. Quaid e Azam Univ, Islamabad. (1) Mehtarjao ‘Ali ibne Hussain Moughol. (2) Mehtarjao Muhammad ibne Hussain Moughol. (3) Mehtarjao Ibrahim ibne Hussain Moughol. (1) Mehtarjao Mushahid Hussain Moughol. (2) Mehtarjao Afaq Hussain Moughol. (1) Mehtarjao Vijdan Hussain Moughol. (2) Mehtarjao Jibran Hussain Moughol. (3) Mehtarjao ... Hussain Moughol. b. 12th August 2013.
i) Perveen Khonza. m. Mehtarjao Israr ul-Mulk, son of Mehtarjao Inayat ul-Mulk, of Drosh. She had issue, one daughter - see above. ii) Zaiba Khonza. m. Mehtarjao Muhammad Kausar Chughtai, son of Mehtarjao Muhammad Ismail Khan, of Danin. She had issue, one son and two daughters - see above. 14) Mehtarjao Faramurz (s/o a consort). He d. before 1st June 1937. 15) Mehtarjao Sa’adatsiyar (s/o a consort). He d. before 1st June 1937. 16) Mehtarjao Muhammad Sawar Khan (s/o a consort). He d. before 1st June 1937. 17) Mehtarjao Muhammad Juma Khan (s/o a consort). He d. before 1st June 1937. 18) Mehtarjao Badshah-i-Mulk, of Owir. i) Mehtarjao Sharifu’llah Khan Kator. ii) Mehtarjao Nuru’llah Khan Kator. iii) Mehrarjao Khalid Shah Kator. iv) Mehtarjao Jamshid Shah Kator [James Kator]. b. 7th March 1952.
v) Mehratjao Zabiu’llah Khan Kator. 20) H.H. Mehtar Sir Muhammad Shuja ul-Mulk, Mehtar of Chitral (s/o the Afghan Princess) (youngest son of his father) - see below. a) Thingshen o Mehtarjao. m. a daughter of his paternal uncle, Mehtar Muhammad Afzal ul-Mulk, Mehtar of Chitral and Yasin, Master of Ghizr, Ishkoman and Suzerain of Kafiristan. 22) Mehtarjao Chehelu Yak? (s/o a consort). (1) Mehtarjao Saif ud-din ‘Ali Khan. m. a daughter of Muhammadu’llah Khan, sometime Diwanbegi. (1) The elder daughter. m. Shahzada Iftikhar ud-din Jehangir, son of Shahzada Jalal ud-din, of Broze, by his wife, the younger daughter of Major Mehtarjao Muhammad ‘Usman Khan, of Gahiret. She has issue, one son and two daughters - see below. (2) The younger daughter. m. Shahzada Taimur Khusrow, Pakistan Foreign Service, eldest son of Colonel Shahzada Khusrow ul-Mulk, by his wife, a daughter of Nawab Sir Muhammad Shah Jahan Khan Bahadur, Nawab of Dir, KBE - see below. ii) Khonza Mas. m. Shahzada Jalal ud-din, of Broze, younger son of Shahzada Shahab ud-din Khan, sometime Mbr of a Board of Admin. She had issue, one son - see below. a) A d/o Ayuni Khonza. m. Shahzada Shuja ud-din (d. 1969), only son of Ghazi Shahzada Mujahid Burhan ud-din Khan, Fateh-i-Chilas, sometime C-in-C Chitral Body Guard. She had issue, three sons and one daughter - see below. b) Another daughter. m. Mehtarjao Sultan Hussain, eldest son of her paternal uncle, Mehtarjao Afrasiyab Khan, of Koghozi. She had issue - see above. 1) A daughter. m. ca. 1860, Mehtar Ghulam Muhi ud-din Shah Khuswaqte, Pahlawan Bahadur, Mehtar of Yasin (d. 1870), youngest son of Mehtar Gohar Aman Shah, Mehtar of Chitral, by his wife, a daughter of Shah Muhammad Afzal II, Mehtar of Chitral. 2) Khonza Bibi (full sister of Amir ul-Mulk). m. ca. 1874, Khan Muhammad ‘Umara Khan, Khan of Jandul and Dir (d. 1896) - see Pakistan (Dir). 3) A daughter. m. Mir ‘Abdu’llah Khan, son of Mir Shah Nizam ud-din, Mir of Badakshan. 4) A daughter. m. Mir Mahmud Shah, Mir of Badakshan, youngest son of Mir Ahmad Shah, of Badakshan. 5) A daughter. m. as his only wife Miangul ‘Abdu’l Khaliq Khan [Kashar Sahib] (b. at Saidu Sharif, 1858; d. 1892), younger son of Qutb ul-Aqtab, Ghaus-i-Zaman, Shaikh Hafiz ‘Abdu’l Ghafur [Saidu Baba], Akhund of Swat. She d. 1930, having had issue, two sons - see Pakistan (Swat). 6) A daughter (d/o full sister of Shuja ul-Mulk). m. 188x, Shah Salim Khan (k. at Baltit, 1886), younger son of Raja Shah Muhammad Ghazan Khan I, Tham of Hunza – see Pakistan (Hunza). 7) Aliha Khonza (d/o Syednan). Mir ‘Ali Mardan Shah (d. 1926), Governor of Ishkoman 1896-1912, former Chief of Wakhan, in Badakshan, Afghanistan. 8) A daughter. m. Sayyid Lais Shahzada, Maulai Pir of an Ismaili religious sect from Zebak, in Badakhshan, Afghanistan. 9) A daughter. m. into the Hamshi Sadat family, of Pashat, Asmar dist., Afghanistan. 10) A daughter. m. before 1892, Sayyid Ahmad Khan, eldest son of Sayyid Mahmud, Badshah of Kunar.